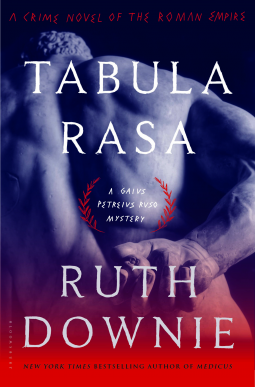 Tabula Rasa is billed as A Crime Novel of the Roman Empire. 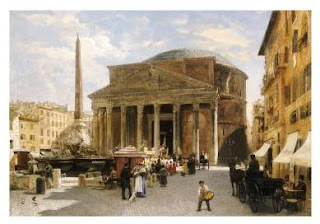 It is the sixth book in the Medicus (ruso) Series, which is set in Ancient Roman Britain, and which features a Roman military doctor, Ruso, and his native-British wife, Tilla. Rich with historical and cultural details, the story in Tabula Rasa begins quickly and progresses at a steady pace, expertly presenting the players, their histories, and their present circumstances. 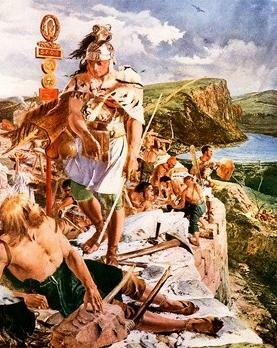 Ruso is stationed at a camp by a quarry that provides the stone for Hadrian's Wall. Doctor (Medicus) Ruso is the medical officer who must treat the injured workmen, soldiers and various locals. 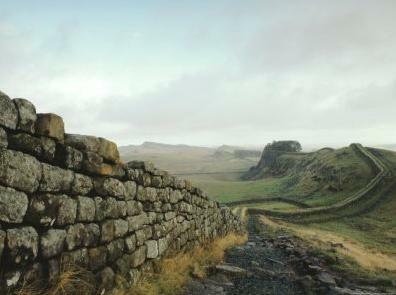 Emperor Hadrian's wall is being built on the new permanent northern border of the Roman Empire. Consolidating the Empire's territory, giving up land that was too costly to control, and fortifying the borders against barbarian attacks was Hadrian's wisest policy. 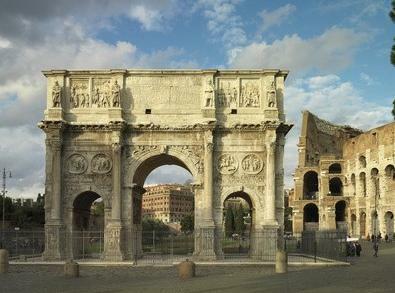 But the seizing of land for the wall, eminent domain seizures, did not make any friends for the Romans among the locals. The third-person-limited narration puts us into the mind of one character per chapter, usually Ruso, sometimes Tilla, and sometimes other characters. We meet Ruso first, and learn about his character and life, while he deals with a medical emergency that risks his own life. If you follow the series, which I highly recommend if you are interested in historical novels set in the Ancient Roman era, and which is why I requested a review copy of the book, you know that Ruso and Tilla's relationship often mirrors the relationship between the Roman colonizers and the native Britains. The two cultures are very different, making peaceful relations difficult. "The Romans have to use coins," he explained, "because they cannot feed themselves on what they grow." Despite trying to learn his wife's language, his energies had been concentrated not on understanding British habits but on weaning her away from them. Recent attempts to mix with the natives had been like leaping into a vast pit of ignorance and finding it filled with many more ways of getting things wrong than most of his comrades could possibly imagine. The mystery or crime aspect of this historical novel lingers in the background for the first quarter of the book, then picks up pace. I always enjoy the hospital scenes the best; Ruso has to deal with the typical military bureaucracy and medical incompetence in scenes that ring true today as much as in the past. I also enjoy the scenes with Ruso and Tilla interacting, which I would have liked more of in this book. Here is a beautiful, stunning computerized recreation of the location for Tabula Rasa, two minutes long. In Tabula Rasa, the author brings back recurring characters from the earlier books. My favorite is Ruso's over-promoted, under-performing, marrying-for-advancement colleague and friend Valens. Valens looked disappointed. "I was hoping this might turn into one of your escapades. Finding a body and going around accusing people of murdering it." "I haven't found a body. Nobody has." Valens scrutinized him for a moment. "Pity," he said. "You've been so much more entertaining since you met Tilla and adopted the native tendency to overdramatize." You brought a child into the world and you gave a hostage to the gods. Tilla and Ruso find themselves in dangerous situations, apart from each other, as the book moves to the climax and conclusion. There is a very satisfying ending, and an expert set-up for the next book. The series featuring Roman Medicus Ruso and his Celtic wife Tilla is definitely set to continue. The author is a skilled writer, at times poetic, at times funny, at times poignant. The editing is expert, and the punctuation elegant. The Medicus books are books to savor, not fast reads. A reader can become immersed in the ancient lifestyle, bringing the past closer to the present, and reminding us that human nature is the greatest constant over the centuries. That is generally what fans of historical novels look for, and with Tabula Rasa, as with all the Medicus books, the fans are never disappointed. 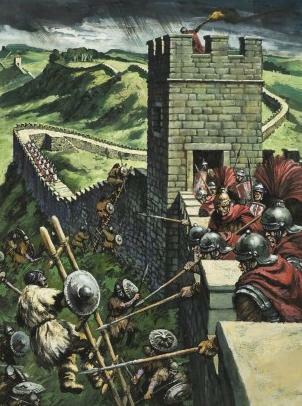 In the newest novel featuring Medicus Gaius Petreius Ruso, the Romans are building Hadrian’s Great Wall amid strife with the Britons, when first Ruso’s clerk and then a native boy disappear. Bloomsbury Publishing publishes the Medicus (Ruso) Series. Bloomsbury USA publishes the series in the United States. 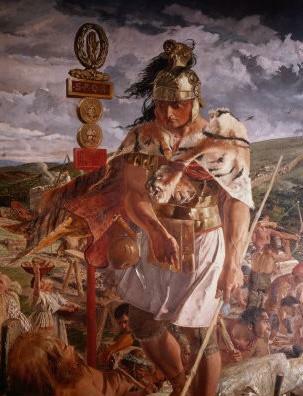 Not up on the Ancient Roman relationship with Britain? 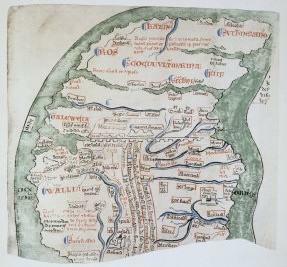 Here is a short overview by Horrible (Humorous) Histories, which includes Hadrian's Wall, and a later wall, too.